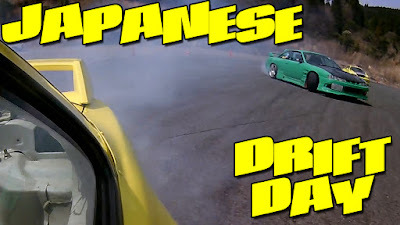 Garage Wise Drift Day 4-1-18 Video is Live!! Hey guys! I'm back after a long hiatus on the blog. I think the blog will become more like a diary, so you can see more of the process behind the channel and Insta (and Facebook, too, even though their algorithm makes me not wanna really do anything there. And yes, I know Insta and FB are connected). What a way to return to the blog, though! I am just now getting the time to be able to go through my drift footage, since the season was so busy early on! I am going to an event next weekend as well, but as it stands, my backlog is about 2 months behind! YIKES! I better get to editing! Anyway, here is the video, and if you could be so kind, please LIKE, SHARE, and SUB! I'm trying to get my videos to more people and grow our community, but I can't do it without you! Girls' Festival Drift Day in Saga, Japan! !